SATURDAY AFTERNOON UPDATE: I asked Showtime boxing boss Stephen Espinoza if GloveGate had been resolved, if a resolution had been reached between the Mayweather and Maidana teams on the exact pair of gloves the Argentine would be lacing on in a few hours. “The fight is going on,” he answered, summing up the mood and message of many involved in the promotion. But, have they decided on the gloves, and shook on it? Not that he’d been told, Espinoza said. So, as of 2:10 PM PT, it looks like GloveGate is still a thing. For the record. 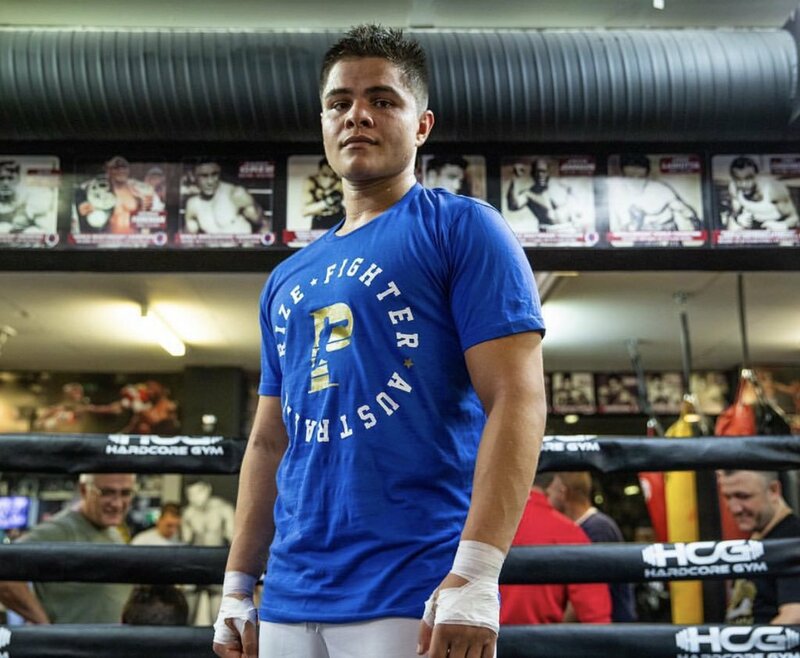 Just know…all this material will be immaterial at any minute, and the fight will go on, and quite likely, from my perspective, the type of gloves Maidana is wearing won’t make a whit of difference. 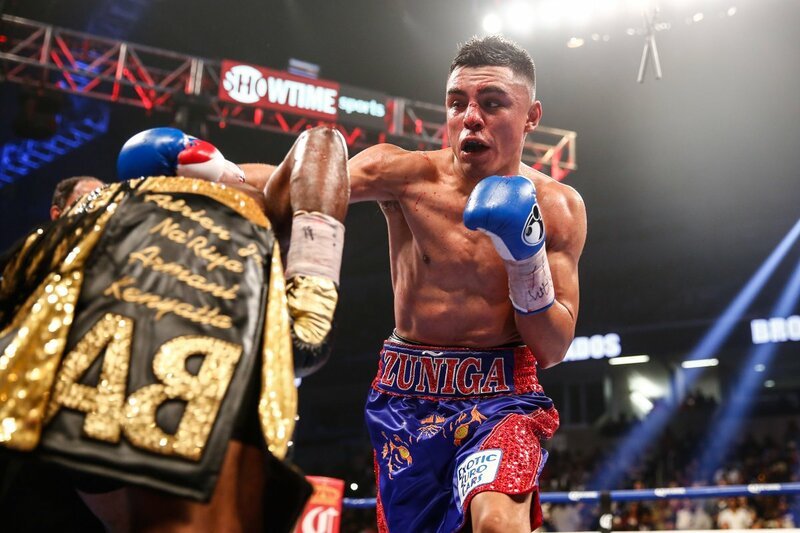 SATURDAY AM UPDATE: Marcos Maidanas’ trainer Robert Garcia told me that he was headed to Chino’s hotel room, to discuss the gloves issue, and he thought the decision would be made shortly, perhaps before noontime, Vegas-time. FRIDAY NIGHT UPDATE: Promoter Richard Schaefer interrupted some quality family time, and addressed lingering media in the media center at the MGM on the subject of Glove Gate. Schaefer said the Nevada Commission put the kibosh on the original gloves produced by the Maidana camp, Everlast MX. Different Everlast gloves, with a different formulation of padding, were offered to Maidana, and Schaefer is confident he will set on one, and the show will go on. Too much money is at stake. Mayweather, though, was heated during the high point of the glove kerfuffle, as you can see hear, in this Fighthype video. The weigh-in was drama free, with all the boxers, including the top dogs on the Saturday night card at the MGM, Floyd Mayweather and Marcos Maidana, making their weight limit. Floyd, TBE, he’s going by now, was 146 pounds, and soaked in the mix of cheers and boos at the arena, where the weigh-in was held, at 3 PM PT. He stepped on the scale, and it registered 146 pounds for the clash, during which the WBC and WBA welter belts will be up for grabs. His six pack was as impeccable as ever, and he told interrogator Jim Gray that he wasn’t at all put off by any dramas that have popped up this week, involving ex gal pals, or basketball teams for sale. “As long as God loves me, it’s all good,” he said. Some drama erupted a bit after the weigh in was completed. Downstairs at the MGM, the Nevada Commission went over the rules and regulations that all participants should adhere to. Be ready for PED tests, they hammered home, for example. Then a little kerfuffle erupted. Floyd is set to use Grant gloves, and Maidana Everlast. The Everlast gloves set out for Maidana to use were flagged by Team Mayweather, for being “back loaded,” for having not enough padding in the knuckle area. John Hornewer, a Chicago based attorney with 25 years in the boxing business, was there to be part of the Mayweather squad watching over the glove-picking ceremony. He told me that he objected to those Everlast MX gloves, based on the way the padding is distributed–there is less padding ont he knuckles than typical goves, he said– and also objected to the fact that they didn’t come shrink-wrapped, in a manner he is accustomed to when receiving virgin gloves. Maidana conjured no drama when he stepped on the scale, and it read 146.5. The Argentine has a respectable rooting section in town, and they started some chants, “Hit him, Maidana,” and the like. The crowd did their share of hooting when Adrien Broner popped up. The Cinci kid is looking to bounce back after being dealt the indignity of his first loss, compliments of Maidana (UD12) last December. He weighed 140 on the dot, and grinned widely when hearing the boos. “Keep booing me, I’m going to keep doing my thing,” he said. 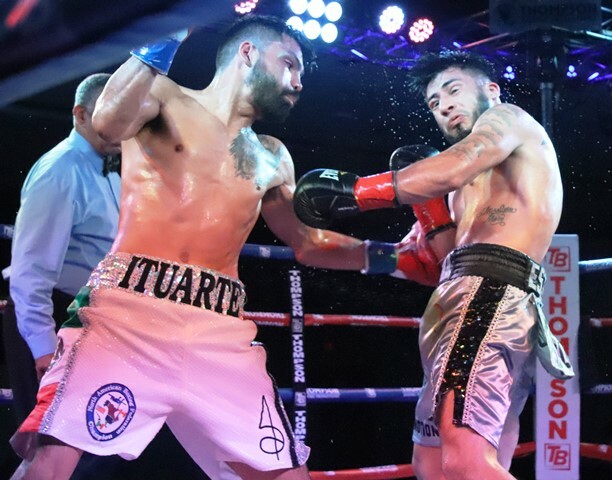 And they did….His foe is Carlos Molina, who nobody figures to have much of a chance. He was 138.5, and promised a strong effort. Amir Khan drew a great deal of positive hollering; the Brit weighed 147 pounds, and told Jim Gray after that he expects bigger things post Luis Collazo, but isn’t looking past the Brooklyner. Collazo, coming off a superb stunner of a win (KO2 over Victor Ortiz on Jan. 30) weighed 147, and a rumor kicked around after that maybe he looked like he’d had a hard time making weight. His trainer, Nirmal Lorick, told me that was not the case, in any way, shape or form. He ate and drank yesterday and today, so that’s not an issue. Note: I wanted to ask Nevada State Athletic Commission chairman Francisco Aguilar how he views beards, especially the one being sported by Broner of late. Would AB have to shave it? Or trim it? I didn’t get a chance to talk to Aguilar, being that the gloves issue was playing out. So, being that indefatigable journo, I asked Sam Watson. Al Haymon’s right-hand man told me that Broner, no matter if the commission demanded it or not, was going to trim that growth down so it could be no issue. So there ya go. There should be no Beard Gate. Is Floyd More Like Broner Than We Thought?